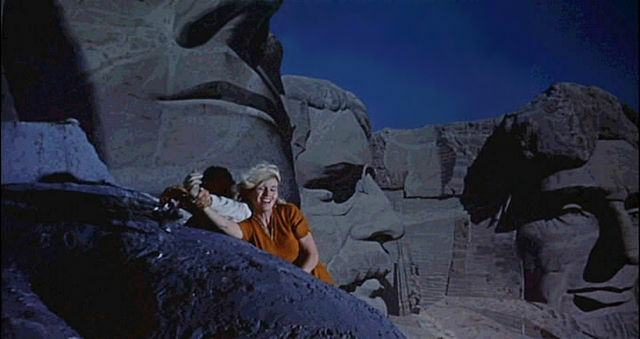 “North by Northwest” movie trailer screenshot. The 1959 thriller by Alfred Hitchcock starring Cary Grant and Eva Marie Saint is screening as part of the Academy’s “Oscars Outdoors” series this summer in Los Angeles. It is shaping up to be a fantastic summer to watch movies outdoors in Hollywood, with some the best venues finalizing their rosters. Just last month, the Academy announced its new outdoor theater on Vine Street. Other venues include the Hollywood Forever Cemetery, the Devil’s Night Drive In, Street Food Cinema fests at Exposition Park, and the Paramount Ranch. So pull out your beach chairs, dust off a blanket, and head out to enjoy a hot Hollywood movie under the stars at these outdoor venues in Los Angeles this summer. All movies screen at dusk.